We have two Christmas trees. 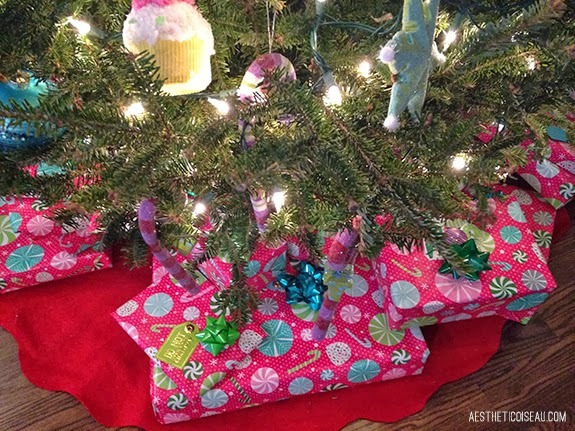 I think this might have been the primary reason why I was so thrilled to renovate the basement into our family room - the opportunity for a second tree! And I knew exactly what I wanted to do in our family room...a candy tree. Something bright, colorful and sweet. 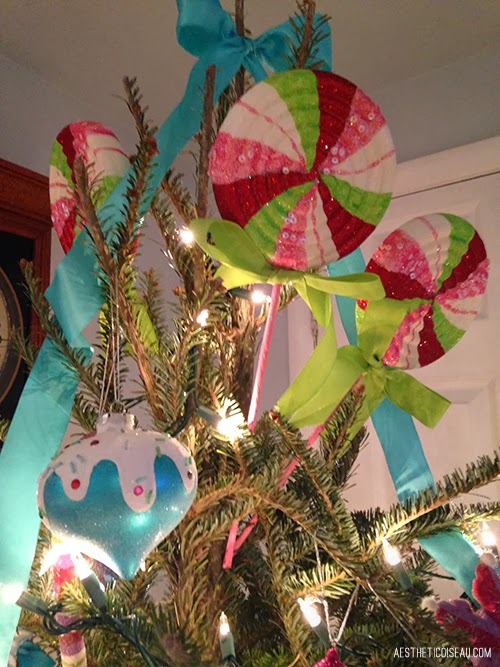 We debuted the tree last year but seeing as how I was super-dee-duper pregnant I didn't get around to blogging about it. 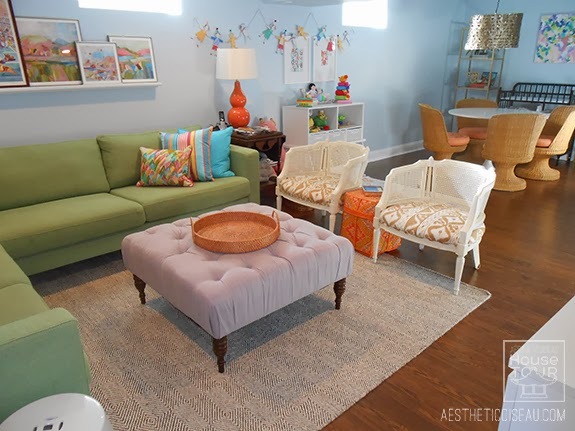 And if you remember what our family room looks like, you'll see that the bright pops of candy color are right at home in this room. 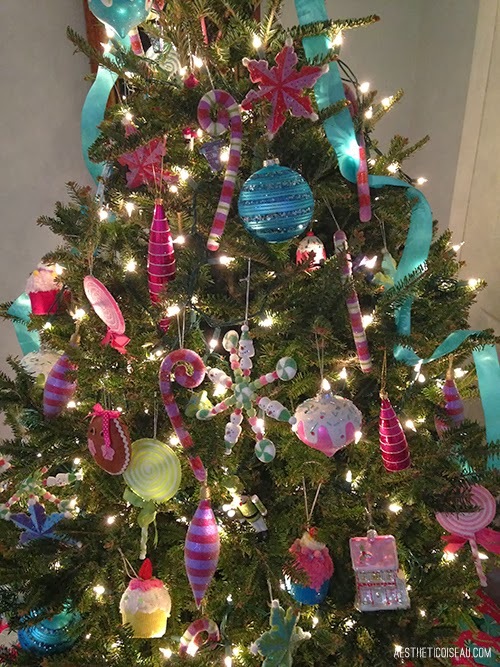 In fact, I'm pretty sure the desire for a candy tree might have influenced this room's color palette. 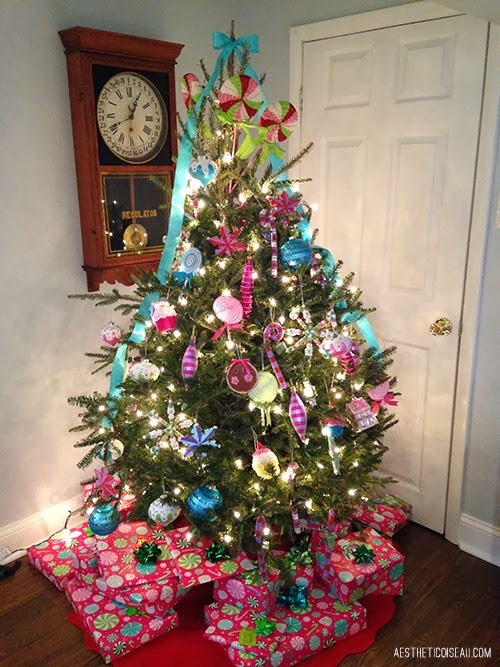 Every Christmas, my mother-in-law takes me to my favorite shop in Columbia, SC called Madison Hall where they have a gigantic Christmas room devoted to ornaments which is where I purchased the majority of the ornaments for this tree. 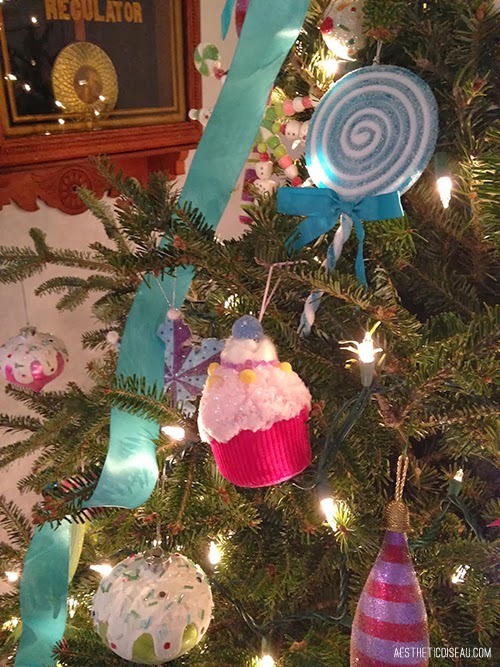 I can't wait to go back this year and keep adding to this one...and I hope as Ana Claire gets older, she comes to love her sweet candy tree as much as I do. Love this tree! WE have 2 trees too. One live tree thats more 'formal' in the living room with pretty glass ornaments, etc. and then one fake tree down in our family room with all of my family ornaments and my fun hallmark ornament collection (I buy 2 or 3 each year). Yum! 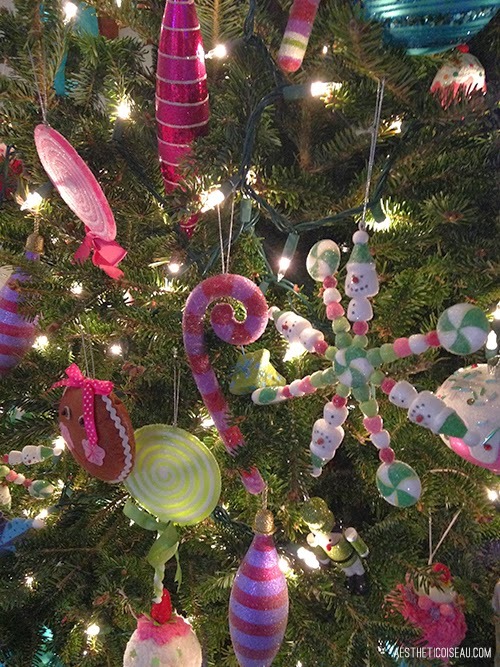 What a fun and delicious-looking candy tree! Love the cupcake ornaments especially.